CHICAGO - Two people are facing charges of first-degree murder in a fatal home invasion robbery in Chicago that left a resident and one of the robbers' alleged accomplices dead, reports the Chicago Sun-Times Media Wire. Miran Cerimagic, Orhan Cerimagic and Brittney Mitchell are accused of breaking into a home in the Norwood Park area of the city at around 11:30 p.m. Friday. Officers were later sent to the home for a well-being check and found a 36-year-old man stabbed to death in the kitchen, police said. The man's name has not been released. Less than 30 minutes later, police learned that suspect Miran Cerimagic, 20, died from stab wounds at a nearby hospital, authorities said, according to the Sun-Times. Authorities reportedly said they were initially told that Cerimagic, of Chicago, was walking with his girlfriend when a group approached them and stabbed Cerimagic during a cellphone robbery. Authorities say they later learned that story was not true. Instead, they say, Cerimagic is believed to have stabbed the 36-year-old man during the home invasion and sustained fatal wounds himself in the process. 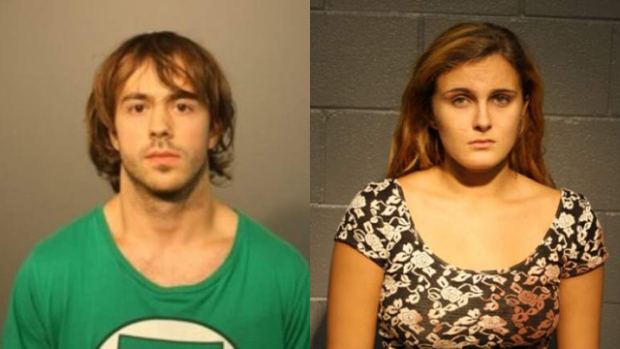 Orhan Cerimagic, 22, and Brittney Mitchell, 18, both of Chicago, were each charged with two counts of first-degree murder -- one for each death, police said. They were also each charged with one count of home invasion, reports the Sun-Times. Orhan Cerimagic and Mitchell were expected to appear in court Monday for a bond hearing.